A few weeks ago I mentioned on twitter that I had a new favorite SSD. This is that SSD, and surprisingly enough, it’s made by SanDisk. The SanDisk part is very unexpected, because until now SanDisk hadn’t really put out a very impressive drive. 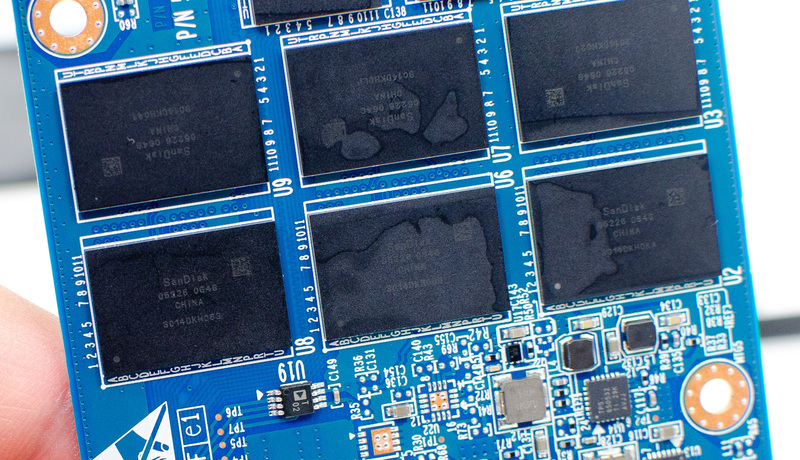 Much like Samsung in the early days of SSDs, SanDisk is best known for its OEM efforts. The U100 and U110 are quite common in Ultrabooks, and more recently even Apple adopted SanDisk as a source for its notebooks. Low power consumption, competitive pricing and solid validation kept SanDisk in the good graces of the OEMs. Unfortunately, SanDisk did little to push the envelope on performance, and definitely did nothing to prioritize IO consistency. Until now. 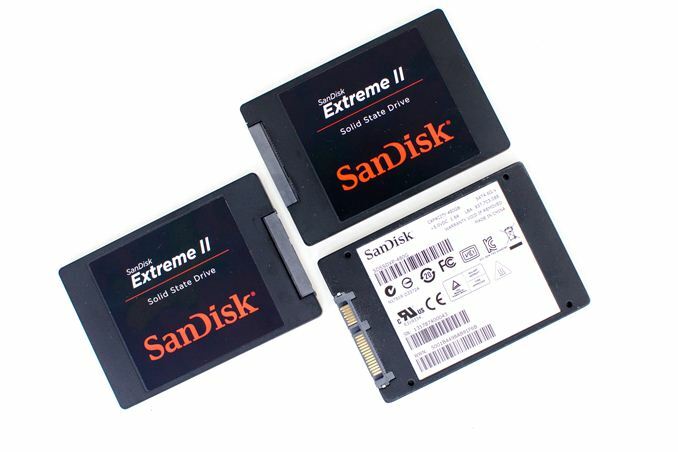 The previous generation SanDisk Extreme SSD used a SandForce controller, with largely unchanged firmware. This new drive however moves to a much more favorable combination for companies who have their own firmware development team. Like Crucial’s M500, the Extreme II uses Marvell’s 88SS9187 (codename Monet) controller. 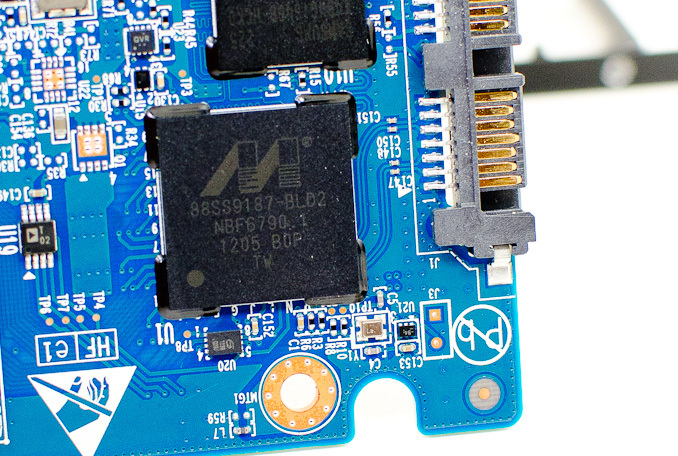 SanDisk also rolls its own firmware, a combination we’ve seen in previous SanDisk SSDs (e.g. the SanDisk Ultra Plus). Rounding out the nearly vertical integration is the use of SanDisk’s 19nm eX2 ABL MLC NAND. This is standard 2-bit-per-cell MLC NAND with a twist: a portion of each MLC NAND die is set to operate in SLC/pseudo-SLC mode. SanDisk calls this its nCache. The nCache is used as a lower latency/higher performance write buffer. In the Ultra Plus, I pointed out that there simply wasn’t much NAND allocated to the nCache since it is pulled from the ~7% spare area on the drive. With the Extreme II SanDisk doubled the amount of spare area on the drive, which could impact the size of the nCache. Some small file writes are supposed to be buffered to the nCache, but that didn’t seem to improve performance in the case of the Ultra Plus, leading me to doubt its effectiveness. However, SanDisk mentioned the nCache can be used to improve data integrity as well. The indirection/page table is stored in nCache, which SanDisk believes gives it a better chance of maintaining the integrity of that table in the event of sudden power loss (since writes to nCache are quicker than to the MLC portion of the NAND). The Extreme II itself doesn’t have any capacitor based power loss data protection. Don't be too put off by the 80TB of drive writes rating for the drives. The larger drives should carry higher ratings (and they will last longer), but in order to claim a higher endurance SanDisk would have to actually validate to that higher endurance specification. For client drives, we often times see SSD vendors provide a single endurance rating in order to keep validation costs low - despite the fact that larger drives will be able to sustain more writes over the lifetime of the drive. SanDisk offers a 5 year warranty with the Extreme II. Despite the controller’s capabilities (as we’ve seen with the M500), SanDisk’s Extreme II doesn’t enable any sort of AES encryption or eDrive support. With the Extreme II, SanDisk moved to a much larger amount of DRAM per capacity point. Similar to Intel’s S3700, SanDisk now uses around 1MB of DRAM per 1GB of NAND capacity. With a flat indirection/page table structure, sufficient DRAM and an increase in spare area, it would appear that SanDisk is trying to improve IO consistency. Let’s find out if they have.